An array of motorbikes crossing Long Bien Bridge on the Red River in Hanoi, Viet Nam. Half of the world’s population lives in urban environments. Pledges made under the Paris Agreement are only a third of what is required by 2030 to avoid the worst impacts of climate change, pointing to the urgent need to boost efforts by both government and non-government actors, the United Nations environment wing said on Tuesday. “One year after the Paris Agreement entered into force, we still find ourselves in a situation where we are not doing nearly enough to save hundreds of millions of people from a miserable future,” said UN Environment Programme (UNEP) Executive Director Erik Solheim. The Paris accord, adopted in 2015 by 195 countries, seeks to limit global warming in this century to under 2 degrees Celsius above the pre-industrial level. “If we invest in the right technologies, ensuring that the private sector is involved, we can still meet the promise we made to our children to protect their future. But we have to get on the case now,” the UNEP chief added. 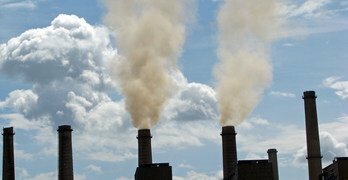 The eighth edition of UNEP's Emissions Gap Report, released ahead of the UN Climate Change Conference in in Bonn next month, warns that as things stand, even full implementation of current national pledges makes a temperature rise of at least 3 degrees Celsius by 2100 very likely. Should the United States follow through with its stated intention to leave the Paris accord in 2020, the picture could become even bleaker. The pace of growth in carbon dioxide emissions have slowed, driven in part by renewable energy, notably in China and India, raising hopes that emissions have peaked, as they must by 2020, to remain on a successful climate trajectory. To avoid overshooting the Paris goals, governments – including by updating their Paris pledges – the private sector, cities and others need to urgently pursue actions that will bring deeper and more-rapid cuts. The report also says that adopting new technologies in key sectors, such as agriculture, buildings, energy, forestry, industry and transport, at investment of under $100 per tonne, could reduce emissions by up to 36 gigatonnes per year by 2030, more than sufficient to bridge the gap. However, it warns that other greenhouse gases, such as methane, are still rising, and a global economic growth spurt could easily put carbon dioxide emissions back on an upward trajectory. Strong action on hydrofluorocarbons, through the Kigali Amendment to the Montreal Protocol, and other short-lived climate pollutants such as black carbon – could also make a real contribution. Climate chaos to continue in 2018, UN chief warns; Will the world rise to challenge?